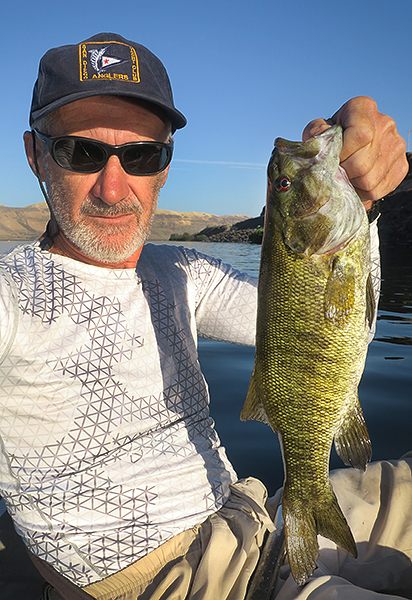 We are back from the desert southwest largemouth bass fishing and are back on the Columbia River in the Pacific Northwest fishing for smallmouth bass. The warm weather is melting the mountain snowpack at a rapid pace and the streams and creeks running into the Columbia River are running high and fast. The water level of the Columbia River is as high as it can get without flooding. The water is also pretty cold, about 56°. That's probably slowing the smallmouth bass bite a little. I managed to catch a few smallmouth bass, nothing big, but the fishing should be picking up as the water level drops and warms up. It's windy, but when it calms down, we are out there for more bass fishing! 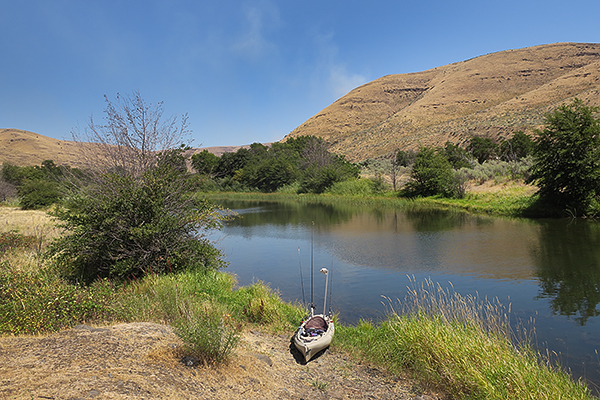 The water conditions in the Columbia River watershed have been running high and muddy for the past month which has really slowed down the fishing. It has also been very windy, making it tough for kayak fishing, especially on the main river channel. The good news is that the river water levels have finally started to drop and the water is clearing up. Along with the improving water conditions, the smallmouth bass fishing has definitely taken a turn for the better. So far, this spring bass fishing season has been the attack of the mini bass with very few medium and larger sized fish. That also seems to be turning around because I caught a few nicer bass as well as a couple big fish. The wind is still a major factor and it's blowing today and for the next few days, at least, but we know that when the wind dies down enough to get back out on the river, the smallmouth bass fishing will be back to the normal great fishing. YouTube videos seem to be getting worse and worse. I'll be posting better quality videos on the watermanatwork.com website soon. 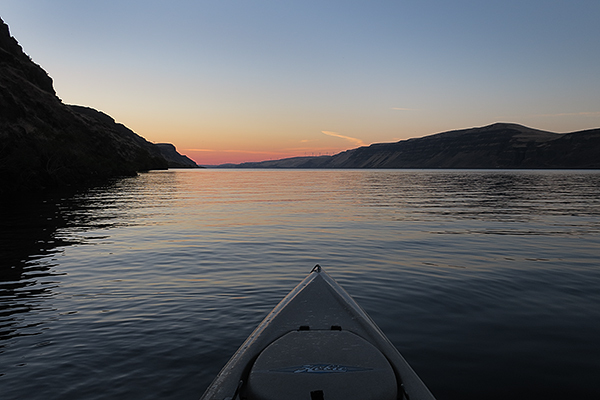 Kayak fishing for smallmouth bass in Eastern Washington. The fishing was pretty good, but it got better. 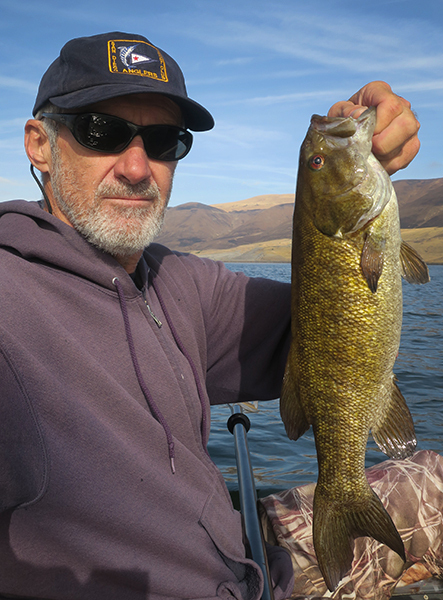 The fishing for smallmouth bass on the Columbia River in eastern Washington has been outstanding. 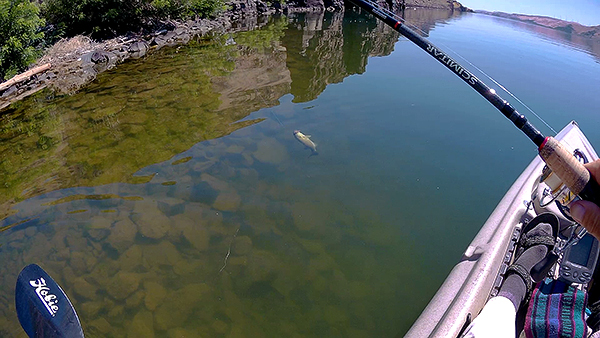 Plenty of kayak fishing action. The smallmouth bass are in a mid-summer feeding frenzy. Their favorite food is crayfish. 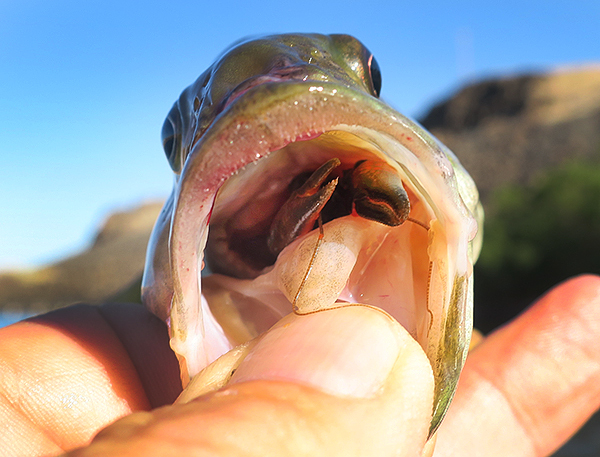 This bass had a live crayfish in it's mouth when it hit my lure that looked like a crayfish! 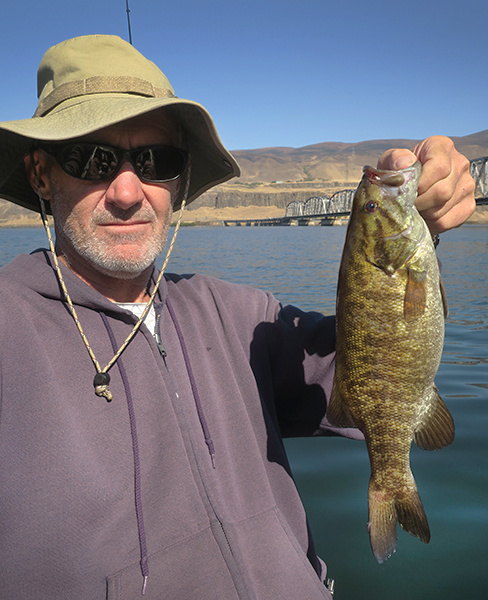 There are some nice smallmouth bass in the Columbia River. It has been really hot with daytime temps over 100° nearly every day. Any bit of shade is welcome. Because it's so hot, we get an early start on the day's kayak fishing. Plenty of local wildfires with the hot weather, have to stay alert. No phone service here. It's worth the effort because the fishing is great. We'll be back out there ASAP, wind permitting. I sure enjoy the pics and reports, Ron. Thanks. Me too (if that doesn't have a different meaning these days). Appreciated. Thanks. Hope the photos and videos inspire you get get out on the water because that's where most of the kayak fishing action is. 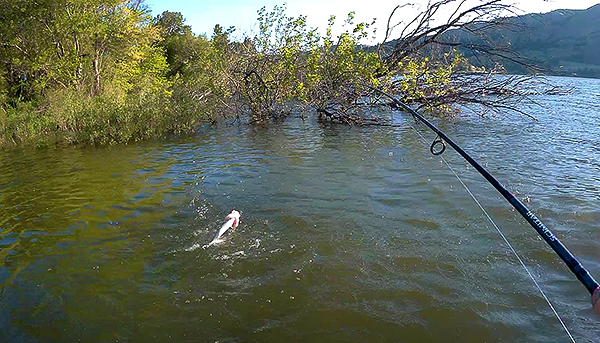 It is not shaping up to be a very good salmon fishing season here on the Columbia River. You can read more about it on my kayak fishing blog. The numbers of returning salmon have been decreasing pretty dramatically the past few years and the salmon fishing on this section of the Columbia River is pretty poor. I did manage to catch one coho salmon, which I released because it was on the small side. Being out early paid off again because along with the small coho salmon, I got a fair sized chinook. After about 8:00 AM, I did not get another bite. 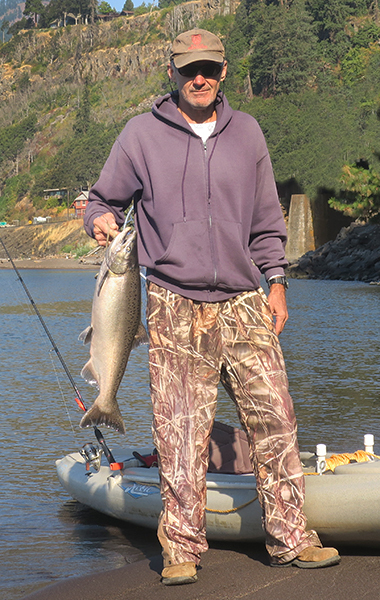 This is the peak of the fall salmon run, we are hoping the fishing will improve with cooler weather and a little rain. 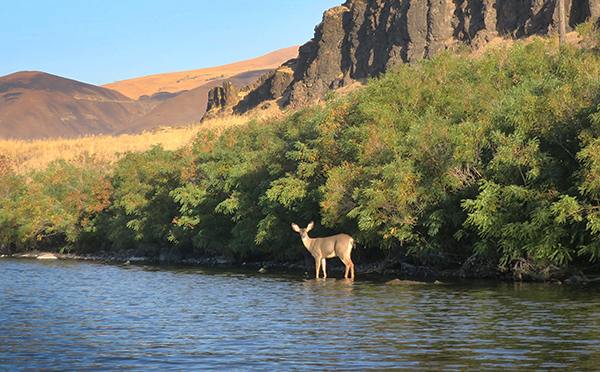 The salmon and steelhead season on the Columbia River is closed due to lack of fish. 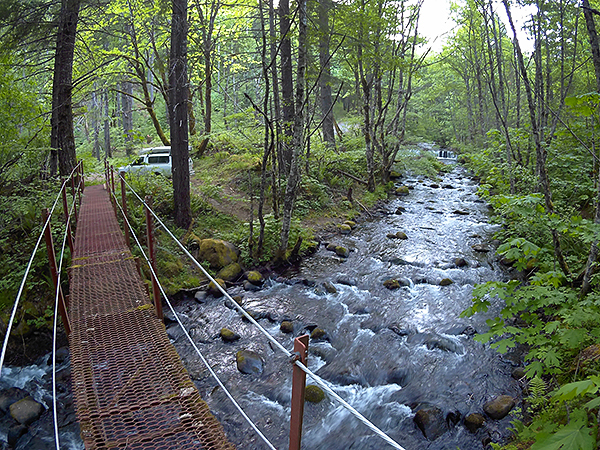 The only salmon fishing going on are the indians gill netting the salmon to extinction. The economies of small towns along the Columbia will suffer for sure while tribal fish salesmen sell gill netted salmon for cash on the side of the road. 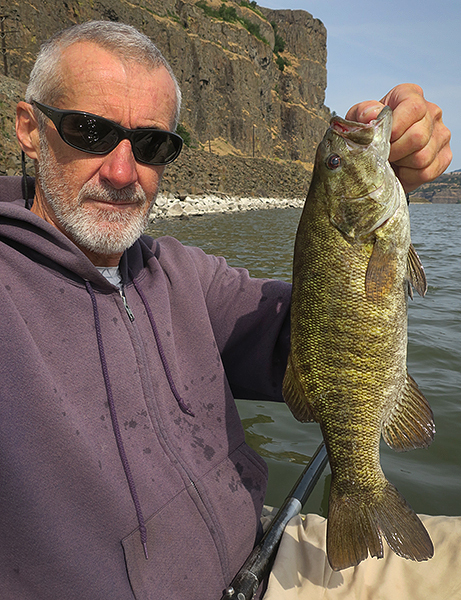 Thank goodness for smallmouth bass otherwise there would be no fishing on the Columbia River at all. Luckily for us, the smallmouth bass fishing is still pretty good with a lot of nice fish willing to bite. With the returning salmon numbers dropping by large percentages year after year, it looks like this is not one or two bad years, but what seems to be a terminal decline to a salmon-free Columbia River. This is very bad news on multiple levels. In the fairly near future, smallmouth bass and walleye may be the only game fish left in the river. 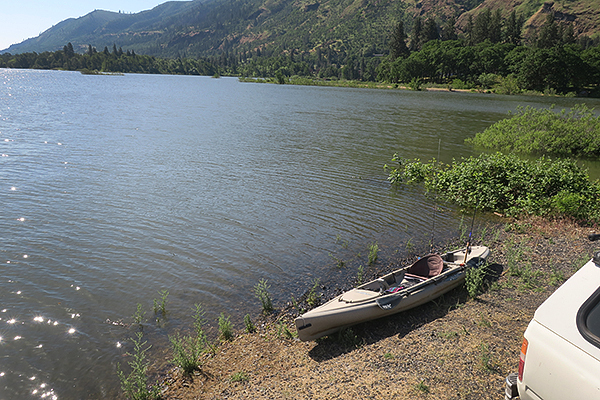 With salmon and steelhead fishing closed and the Columbia River choked with invasive Milfoil and covered with algae, a mediocre fishing season, at best, here in the PacNW is pretty much on life support. We managed to scrape out a few smallmouth bass but had to work hard to get them. There are still a few nice days, but cold and wet weather is only weeks away. We're starting to look forward to next year of fishing here in the beautiful PacNW, but there is a good deal of concern about the salmon and steelhead fishery. 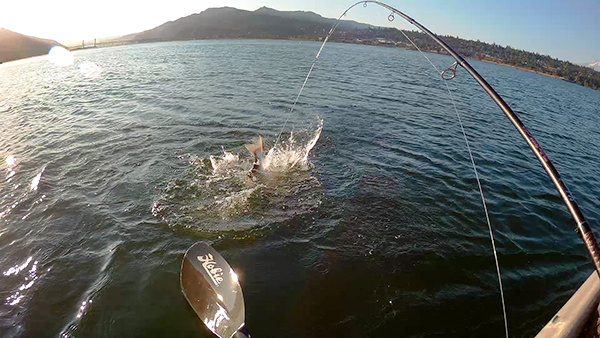 The fear is that sportfishing for salmon on the Columbia River may be just about over. 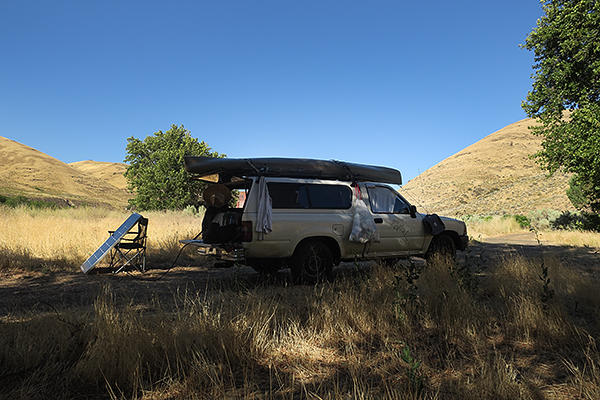 Anyway, we'll hope for the best as we pack out gear for largemouth bass fishing in the desert SW.
We've uploaded a video of us kayak fishing for smallmouth bass on the Columbia River. Normally, we would be fishing for salmon and steelhead at this time of year, but due to the lack of returning salmon and steelhead, the salmon season was cancelled early in September. That is not the only bad news. The 2019 fall salmon run is projected to be half of the cancelled 2018 season, which was half again of the 2017 season. Things can always turn around, but we may be looking at the end of salmon sport fishing on the Columbia River. It remains to be seen if the native gill netters will be allowed to gill net the salmon to extinction.